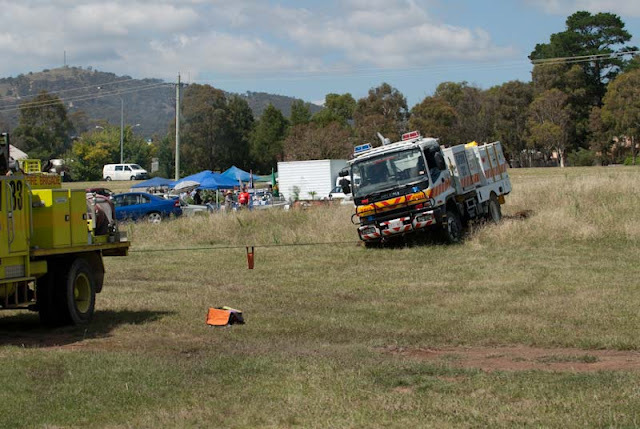 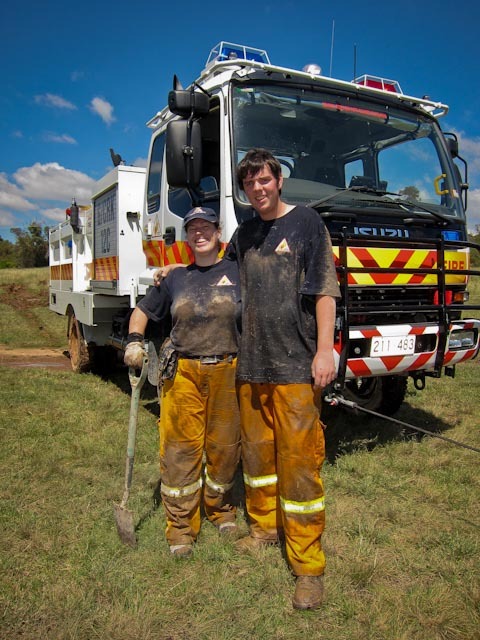 ACT Rural Fire Service Events: Guises Creek doing an impromptu vehicle recovery training session. 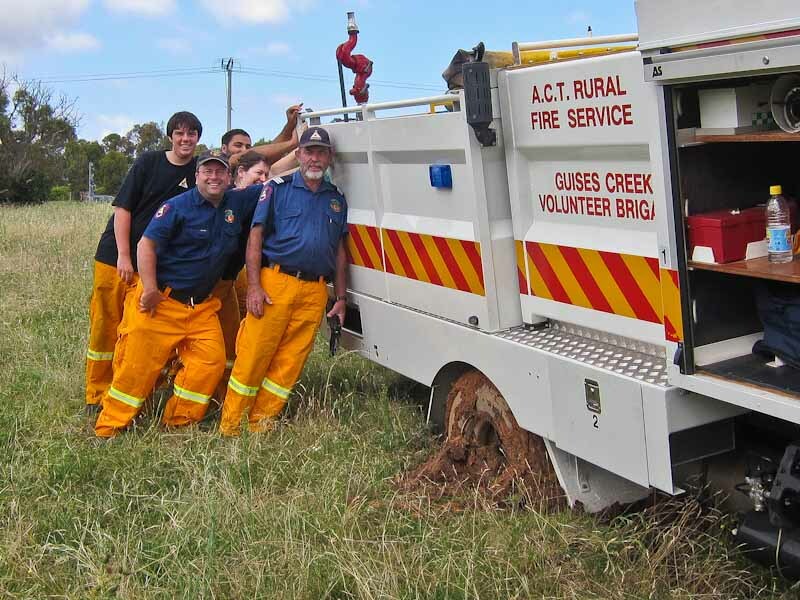 Guises Creek doing an impromptu vehicle recovery training session. 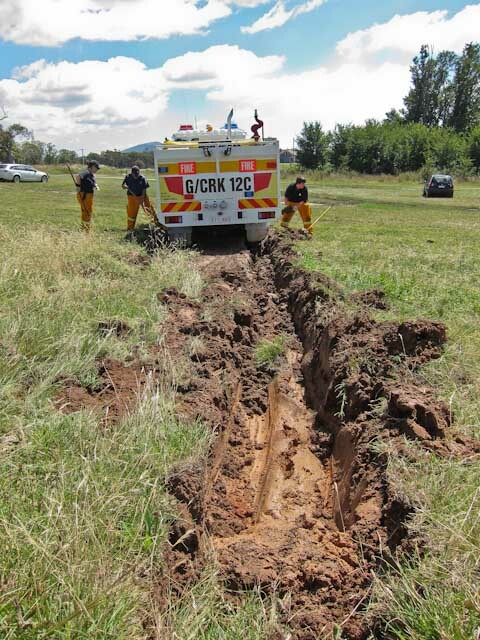 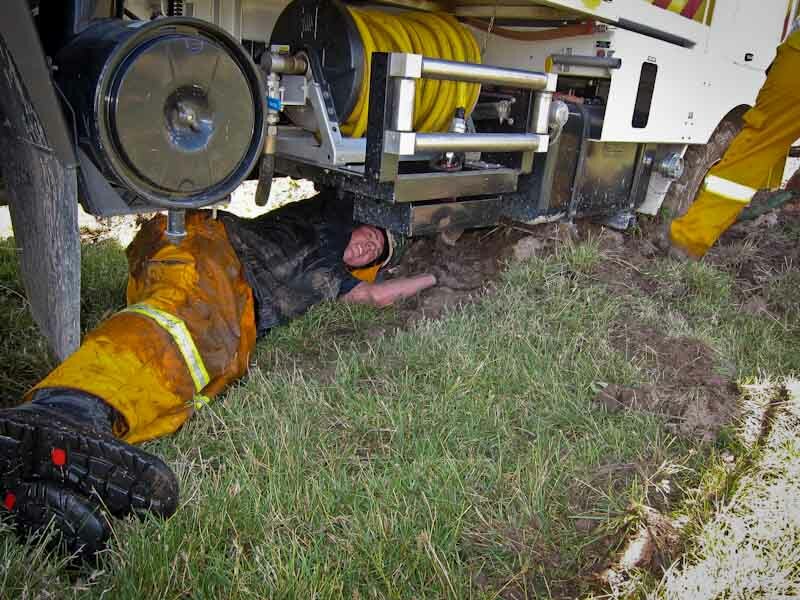 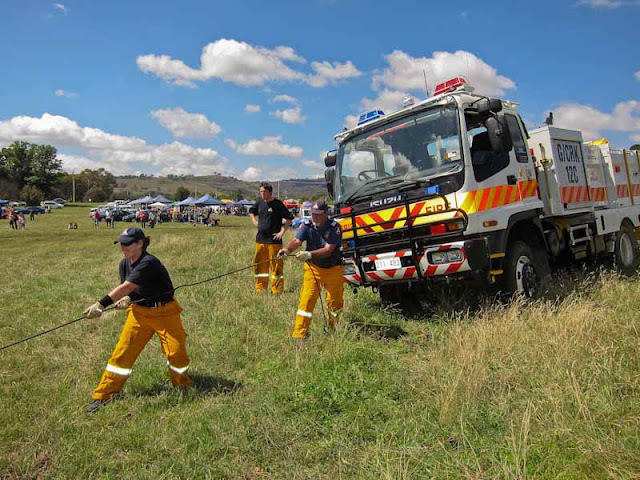 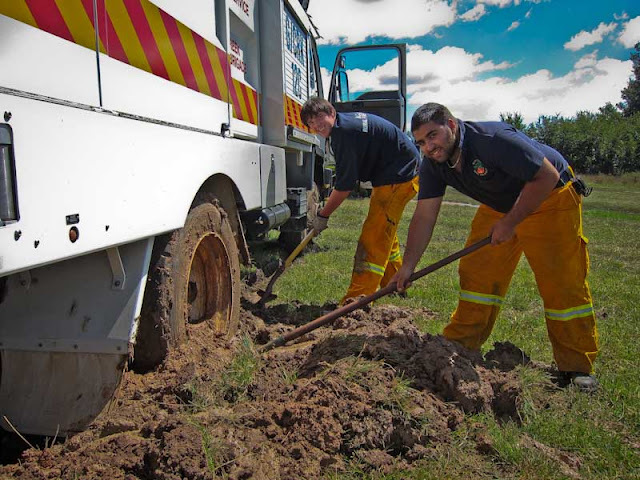 Guises Creek CAFS unit became bogged whilst attending the Tuggeranong Markets over the weekend. 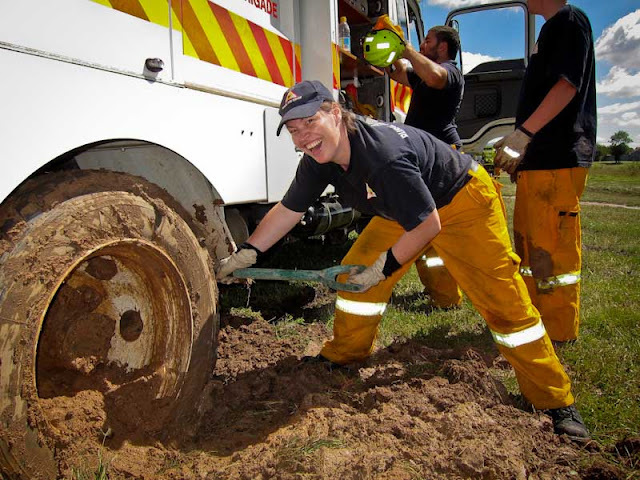 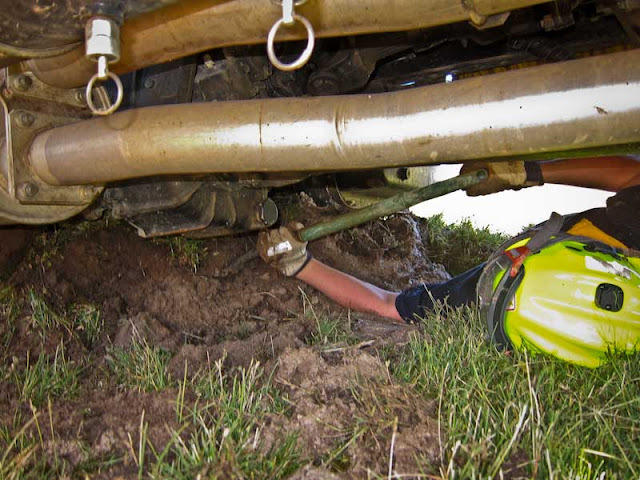 The vehicle was being driven on higher ground when the rear wheels slowly sank in the mud. 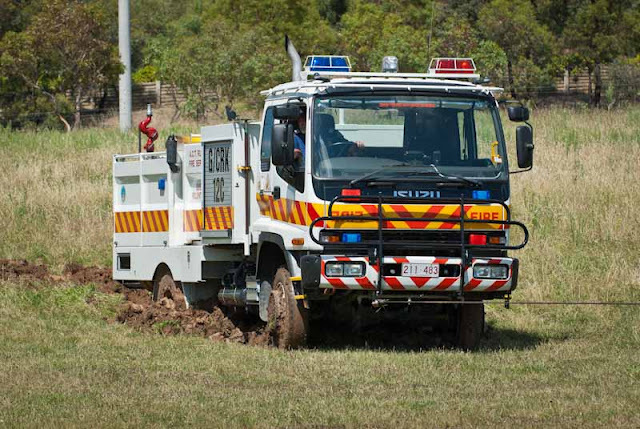 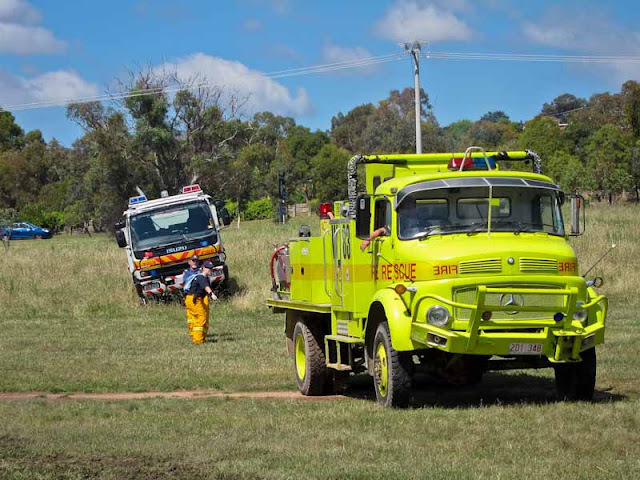 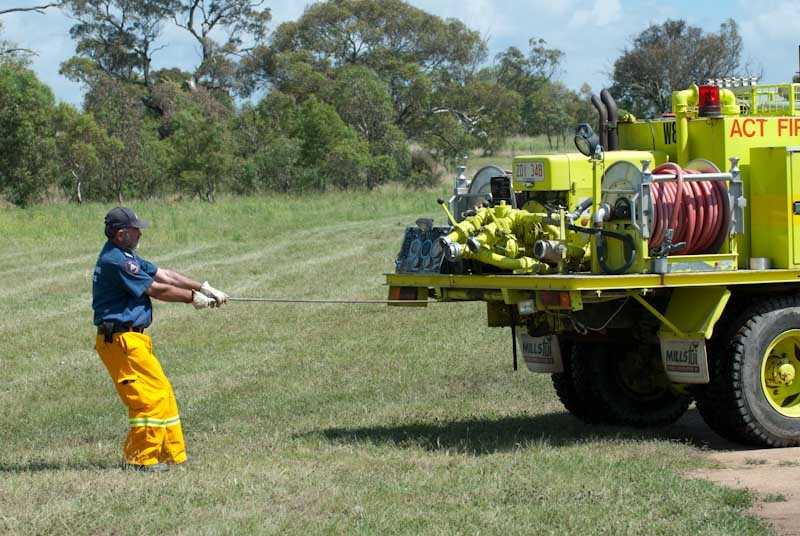 Rob from ESA workshops brought out the ACT Fire Brigade W83 recovery vehicle and winched the tanker out with the assistance of the GCRK crew (who were rather muddy after the ordeal). This is the second incident where an ACTRFS vehicle has been bogged and a timely reminder to all our drivers that the conditions are still very wet below the surface! ACTRFS Shave Team Hits Their $25k Target!